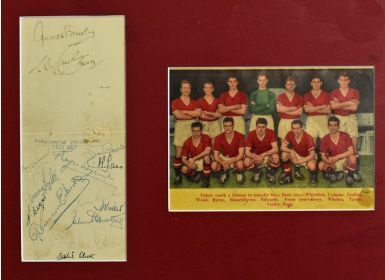 Framed and glazed montage of Manchester United featuring the 1955/56 season United team with autographs to include Duncan Edwards, Tommy Taylor, Eddie Colman, Roger Byrne. 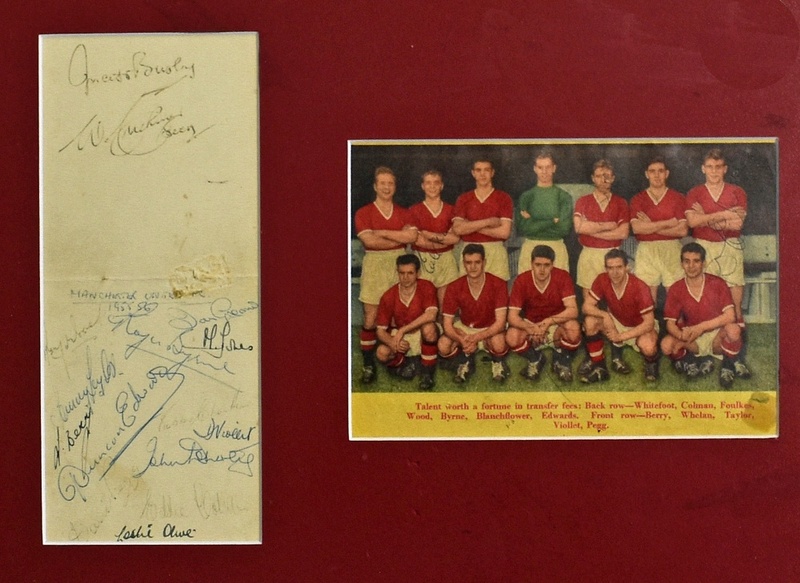 Also on a separate page the signatures of Roy Wood, Tommy Taylor, Johnny Berry, Duncan Edwards, Roger Byrne, Johnny Doherty, Bobby Charlton, Dennis Viollet, Eddie Colman, Leslie Olive, David Pegg, Mark Jones, Ian Greaves, Matt Busby, Walter Crickmer (secretary). Worth a view to see the iconic player signatures.